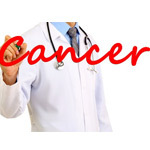 WEDNESDAY, Nov. 5, 2014 (HealthDay News) -- There's good news and bad news in the war against colon cancer: While rates have fallen among older Americans, cases among adults aged 20 to 49 are rising and expected to continue to do so, a new study finds. Researchers analyzed U.S. National Cancer Institute data from 1975 through 2010 and found that the overall colon cancer rate for Americans fell by about 1 percent each year during that time, with a similar drop seen in men and women. Age seemed to be a factor -- rates fell by around 1 percent annually in people aged 50 and older. However, rates rose by 2 percent per year among people aged 20 to 34 and by close to half a percent annually among those aged 35 to 49. The study "reflects what practitioners are seeing in the real world -- two decades ago, it was rare to treat patients in their 20s, 30s or 40a for colorectal cancer. Now, unfortunately, it seems much less surprising," said Dr. David Bernstein, a gastroenterologist with North Shore University Hospital in Manhasset, N.Y. The study also predicts that by 2020 and 2030, colon cancer rates are expected to jump by about 38 percent and 90 percent, respectively, among people aged 20 to 34, but fall by about 23 percent and 41 percent, respectively, among people older than 50. "The increasing incidence of [colon cancer] among young adults is concerning and highlights the need to investigate potential causes and external influences such as lack of screening and behavioral factors," wrote a team led by Dr. Christina Bailey, of University of Texas MD Anderson Cancer Center in Houston. Another expert agreed, and said the exact reasons behind the surge in colon cancer among the young remains unclear. "Dietary and lifestyle factors in this age population needs to be carefully examined," said Dr. Jules Garbus, an attending colorectal surgeon at Winthrop-University Hospital in Mineola, N.Y. "Moreover, a genetic link to colorectal cancer clearly should be considered." Dr. Jerald Wishner directs the Colorectal Surgery Program at Northern Westchester Hospital in Mount Kisco, N.Y. He pointed out that when it comes to colon cancer, "there are no standardized recommendations for screening patients under 50 without risk factors." "This is further complicated by the fact that there are few early signs of colorectal cancer and many patients who present with symptoms already have advanced disease," he said. "This explains the poor prognosis for patients who present at a younger age with symptoms." Wishner said that younger people need to remember that even though current colonoscopy recommendations specify that the tests begin after age 50, that "only applies to patients without risk factors for cancer." "Many patients are unaware of what these risk factors are," he said. For that reason, "it is important for all adults to discuss their risk with their primary physician and consider early screening if there are any risk factors or symptoms." For his part, Bernstein said that "it's impossible at this juncture to determine why colorectal cancer incidence is rising among young adults, especially those ages 20 to 34. My guess is the increase is somehow related to dietary or environmental factors, but extensive scientific research is needed to uncover the true causes." He believes that doctors "should be more aggressive investigating reports of minor rectal bleeding in younger adults, which is usually dismissed as hemorrhoids but may in fact indicate colorectal cancer." The findings are published online Nov. 5 in the journal JAMA Surgery.